Standing too close to something prevents you from seeing it properly. This principle applies literally as well as figuratively. We cannot see all of a large object if we have it pressing against out face; we cannot see an overall pattern if we concentrate on the details; we cannot really get an appreciation of something we have been involved with unless we have some perspective away from the thing itself. These last two points are the most pertinent to advertising. When we design anything visual we must look at how the elements combine to give an overall effect. Each detail is often important, but how they combine is more important. The overall effect must be coherent, unless there is some appropriate reason to use incoherence. And the overall tone must work for what we are trying to convey, or in this case sell. This is looking at the overall pattern. The second point is finding if the overall pattern is working for the audience. It can be hard to see what the audience is seeing if we are too close to our own work. We know what we intended when we created the piece, but is the audience seeing what we intended? Sometimes we need to take time away from a project to see it with neutral eyes. There is no one principle for an effective Exhibition Display, except perhaps the meta-principle of having a display that works for the company. And even then there will be a context. Your display will often be amongst many other displays. It might stand out in one situation and be lost in another. Unfortunately, we need to take a little trial and error into our design concepts here, and modify this year’s model I light of last year’s success. Pop Up displays are convenient, and if they are custom designed they make a company look serious. If there are regular events than is pays to have a custom display. 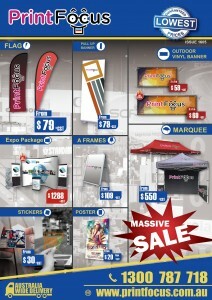 Make sure all the promotional material with the display works coherently with the Display Booth itself. Pull up banners are not especially pricy, but find uses outside stores, at conventions, or in any situation where we want to direct potential clients towards our business. They are easily stored when not needed.